I entered Llanover Hall Arts Centre on Saturday night with a level of uncertainty and, if I’m honest, a preconceived notion about the quality of student-art performances based entirely on my own awkward and cringe-worthy experiences. 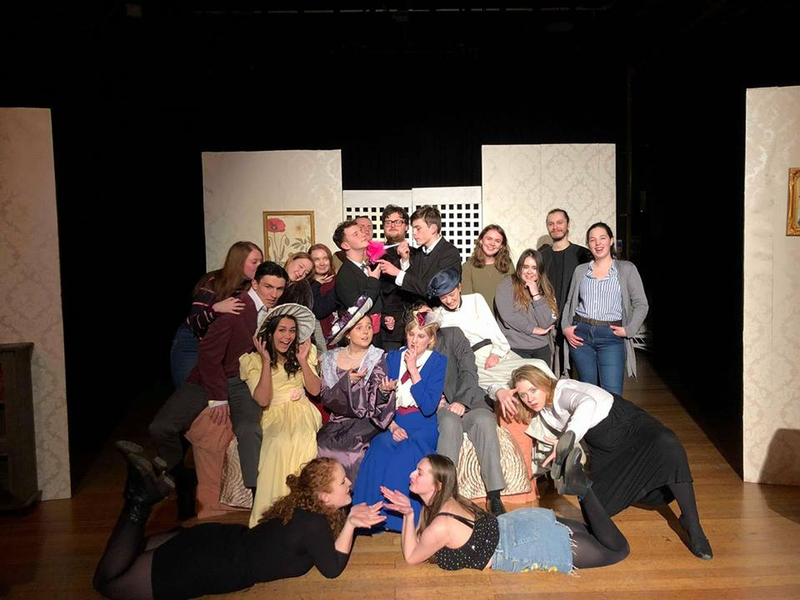 On this particular evening, Cardiff University’s Act One Drama Society had kindly invited me to review their performance of Oscar Wilde’s The Importance of Being Earnest. I have to admit that within a very short space of time my concerns had vanished and my narrow perspective, rather reluctantly, opened. Sam Whitworth was the very epitome of theatrical charm as Algernon Moncrieff, and exuded confidence on stage, slipping into the role as though Wilde himself had written it with Whitworth in mind. He was an absolute pleasure to watch from beginning to end. It would be pure negligence on my part if I were to refrain from singing the praises of Jess Shiner as Lady Bracknell. Her mannerisms and comedic timing were executed with impressive skill and professional technique, and the audience were in hysterics every time she graced the stage. The chemistry between all of the actors, and the casting of each character, played out wonderfully. The highlights for me were a few key scenes in which Wilde’s banter and his renowned verbosity and wit were performed with admirable skill and ease. These include Lady Bracknell’s interrogation of Jack (played by Freddie Miller) in which his origins are revealed (Lady Bracknell’s horror as he admits to being found ‘in a…handbag!’- utterly priceless), Miss Prism (played by the delightful Ella Moody) and her comically unsubtle flirtations with Dr. Chasuble (played by Peter Sadler), and the scene between Quenilda Woodhouse as Miss Fairfax and Vanesa Wolf as Cecily was a personal favourite of mine. The women portrayed the hilarious and relatable behaviour between two strong, and slightly terrifying, female rivals in ‘proper’ society. During each of these events, the servants (played by Aaran Devine and Jim Crossland) had a subtler presence but were imperative in their contribution to the movement and easy flow of comedy within the play. I was continuously impressed with the way the production stayed true to the original play without making it appear outdated or awkward. Congratulations are in order for director Jemima Kelleher and production manager Laura Martin. Everyone involved should be incredibly proud of their effort and hard work, but also for introducing a self-confessed theatre snob to the wonderful qualities of student-led performances.